Tata Housing, one of the leading real estate development companies in India, today announced its win at CII-ITC Sustainability Awards 2017, for outstanding accomplishment of corporate excellence in sustainability. With the commitment to green buildings, the company has set a benchmark and pioneered its sustainability practices for over a decade. 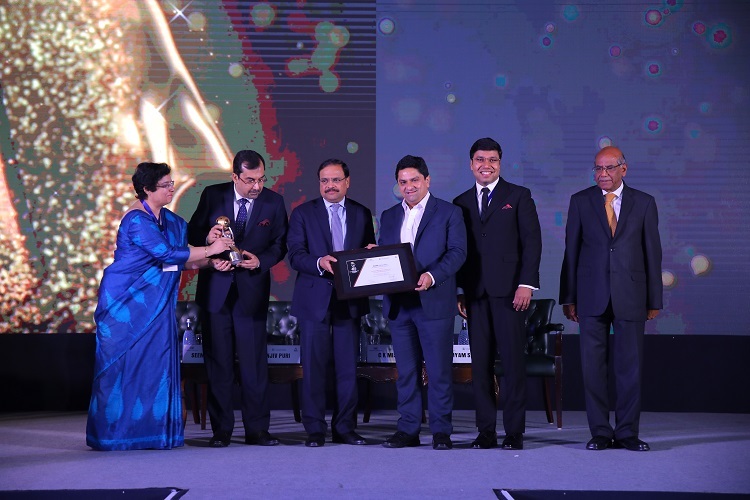 Tata Housing was adjudged with the award for its efforts to excel at sustainable business. Over the last ten years, the company has set examples through its various projects by incorporating state of the art designing, utilizing modern technology and using environmental friendly materials for construction. Being a responsible corporate citizen, Tata Housing has not only focused on the consumers, but also worked for the community welfare and environment protection. Tata Housing is a closely held public limited company and a subsidiary of Tata Sons. It is the first corporate to pioneer the concept of real estate development in India. It is widely recognized for quality construction, ethical and transparent business practices and timely delivery of properties. It has a pan-India and international presence with demonstrated capabilities in Construction, Engineering, Commercial / IT parks, Housing and Township development. It is known for international standards of design and green sustainable developments.